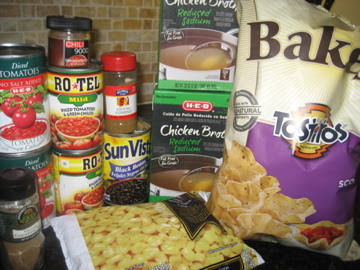 Tortilla soup is a staple for the winter. Unfortunately, I feel like it is never going to be winter here considering it was almost 90 degrees yesterday. 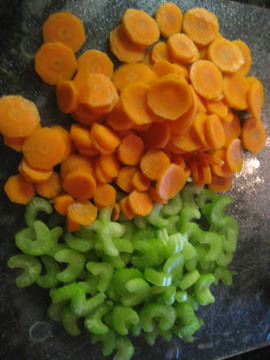 I like to make this soup a day ahead of time because it is always more flavorful the next day! ***If you use reduced sodium chicken broth make sure to taste the soup before serving. You may need to add more salt. 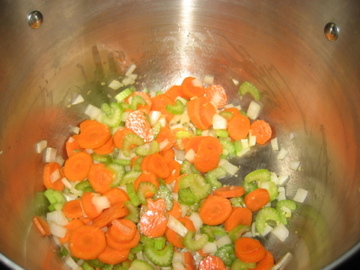 In a large pot, saute the first 5 ingredients (carrots, celery, onion, garlic, olive oil) until tender which takes about 10 minutes. Add the rest of the ingredients and bring to a boil. Simmer under a low boil for at least 30 minutes. Garnish with the shredded Monterrey Jack cheese and crunched tortilla chips. You can also add guacamole if you so desire.